Las Vegas is a magnet for misbehavior. And it’s no different for celebrities when they visit the City of Sin. Like, say, Joaquin Phoenix. He recently got up in front of a crowd at Las Vegas nightclub LAVO, for his debut rap performance. Which would be fine except for the fact that there were a lot of people with video-cameras there and he seems to be seriously messed up on something. Oh, and at the end of the performance, he falls off the stage. 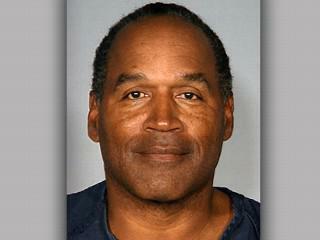 And then there’s O.J. Simpson. It wasn’t partying that got him in trouble in Vegas. Instead he decided to forgo the pleasures of the Strip in favour of stealing some memorabilia at gunpoint from some ‘friends’ in a sketchy hotel/casino. I know if I was O.J. I would have thought back to 1995, realized I’m luckier than a horseshoe with a rabbit foot up its bum, and sat myself down at the nearest Roulette table. A couple other stories both involve eating. You ever see that video of David Hasselhoff drunk on the floor trying to eat a burger? You know the one that was shot by his daughter? Yep, it happened in a hotel room in Vegas. And then there’s the notorious case of cannibalism in the ring at the MGM Grand arena during a fight between Mike Tyson and Evander Holyfield. All was calm for a round or two, before Tyson decided to give up on the fight and start his post-match meal a little early. Of course, if the rich and famous chose to spend their time at the tables or slots we’d probably all be better off. So here’s my advice. Don’t be like the Hoff…and just stick to the gambling. Check out our online casino right now.